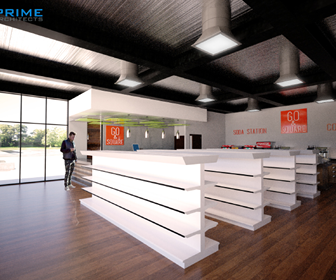 Prime Architects was hired by a private owner to design a commercial gas station and retail market. This approximate 6,000 sf commercial addition and remodel is located in Oklahoma City, OK. The existing building was functionally obsolete; the new design modernized and doubled the existing building footprint. 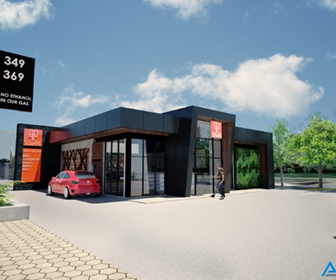 CMU walls, exposed steel joists, and full-height store-front glass were used to create a contemporary look. Website by McMahon Marketing | Hosted by Liquid Networks, LLC.